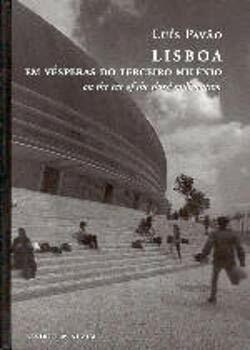 LISBOA Em vesperas Do Terceiro Milenio on the Eve of the Third Millennium by Pavao, Luis: Assirio & Alvim,, Lisbon, Lisboa 9789723707106 Hard Cover, First Edition - Reader's Corner, Inc. The Reader's Corner is such fun,it's too bad you have to buy our books on line. We have eight foot tall outside bookshelves across the entire front of the store. There is a money slot in the door for night sales, which go to support National Public Radio. Inside, which can be too crowded at times, are surprisingly good books, only 1% are ever listed on-line. We also sell records, music cd's, comic books, mags, computer software and games. Best of all is the found art decorating every spare spot. The motto on the front door: NO SHOOTING, NO SMOKING, NO MOONING THE MANAGEMENT.